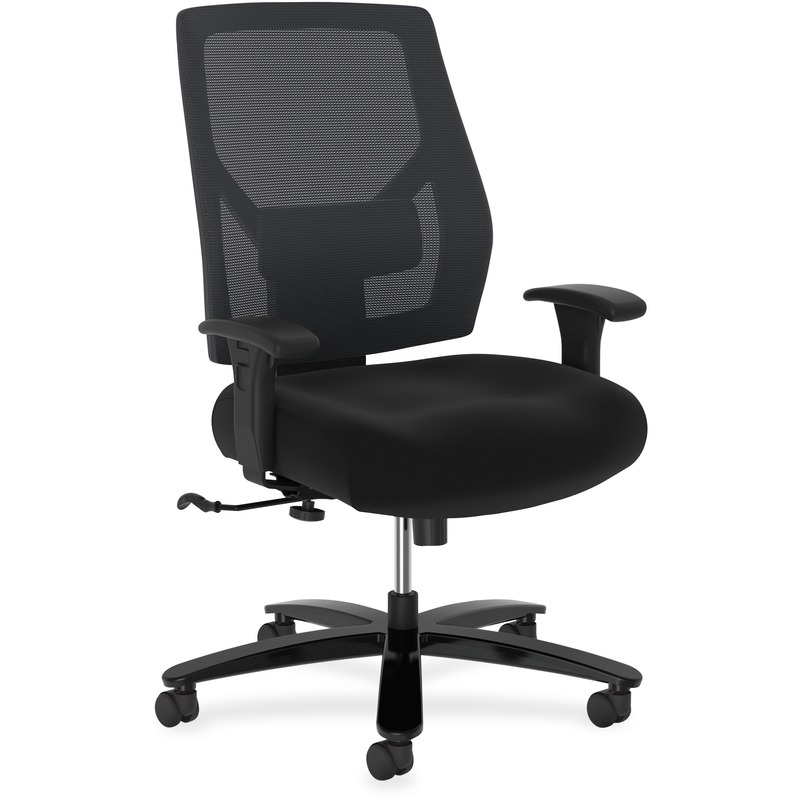 Task chair features a contoured back and seat with a plastic shell for your comfort. 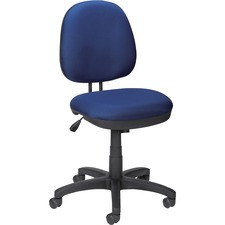 Functions include pneumatic seat-height adjustment, 360-degree swivel and tilt tension control. 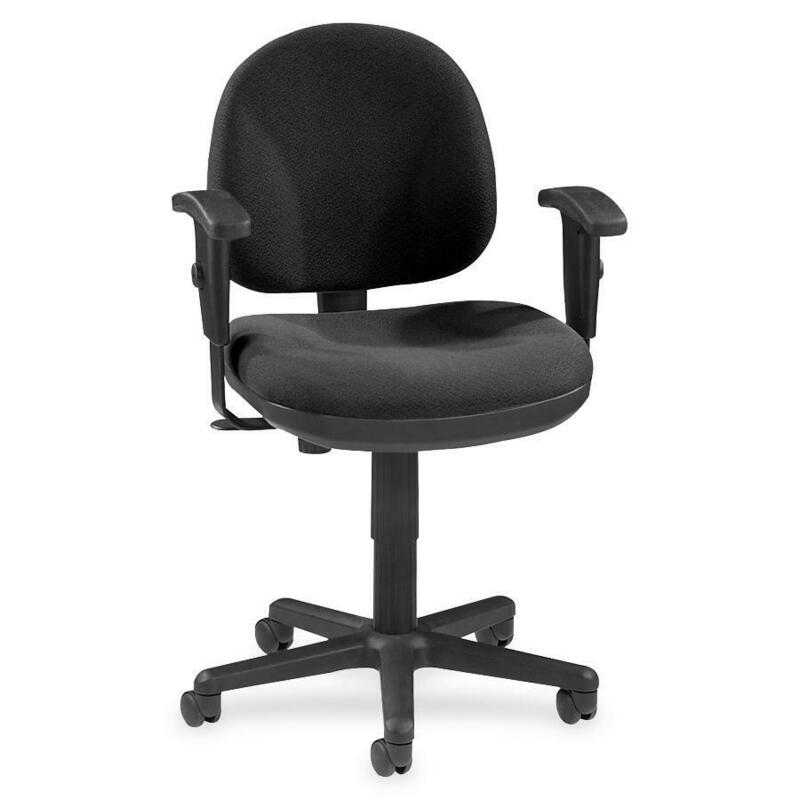 Five-star nylon base has dual-wheel casters for easy mobility. 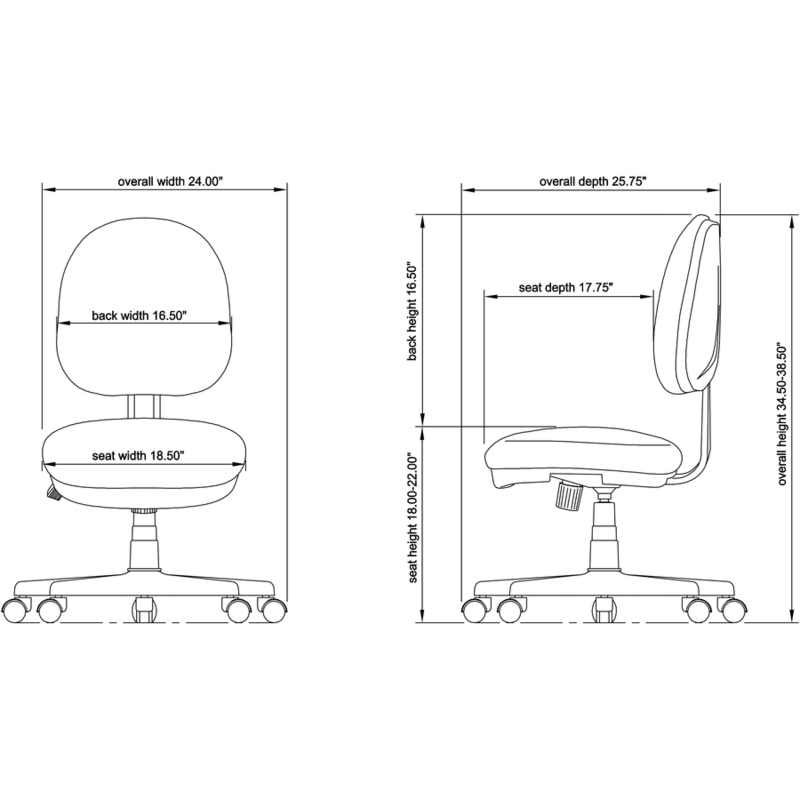 Weight capacity is 275 lb.